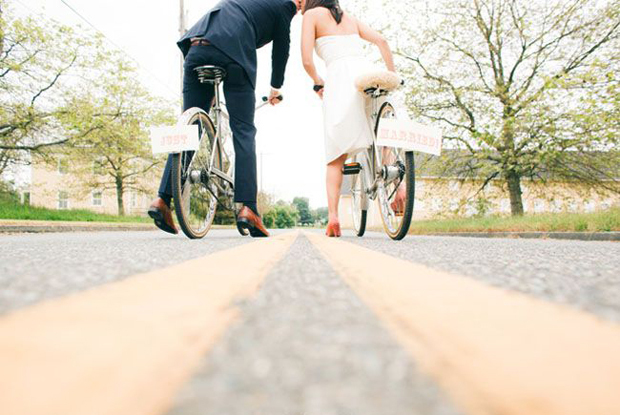 Looking to shape up or tone up for your Big Day? We chat to three health and fitness experts who tell us what their service can do for you! What is the FitBrideFormula Programme? The FitBrideFormula Programme is a 12 week Online Coaching Programme where we work with Brides-to-be on their exercise and health habits to help them get into fantastic shape for their wedding day. How close to the wedding should you start and how long do you follow it for? 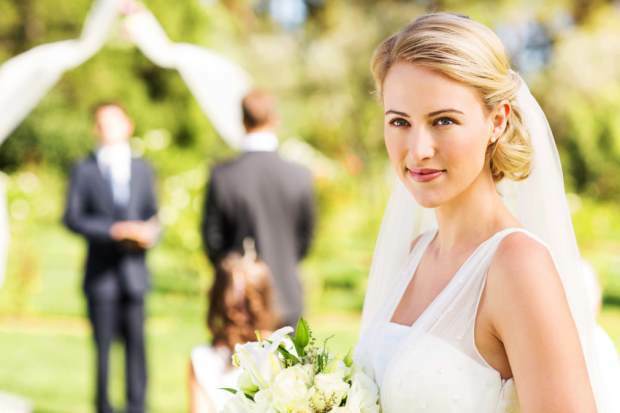 It is a 12 week programme, however everyone who joins gets to keep all of the information so if they start 6 months out from their wedding day, they can run through two cycles before the Big Day. We would advise starting around 6 months (or more) from the wedding to really give the bride the best chance possible to get into shape. Are you given an eating plan/exercise regime to follow? Yes – there are Breakfast, Lunch, Dinner and Snack Recipes and Suggestions provided throughout. How will it benefit brides on the lead up to their Big Day? By providing them with a structured, well-planned workout programme and helping them develop the necessary habits to help burn fat, tone up and get into great shape. And not just for their wedding day, for their honeymoon and throughout married life if they continue to implement and solidify their habits! What is the C9 Programme? The C9 is a 9 day cleanse designed to rid the body of unwanted toxins. It is the kick start programme from Forever FIT, the foundations to a healthy weight and fitness plan. It is based around the fantastic Forever Aloe Vera drinking gel which helps to cleanse the gut allowing it’s nutrients to be fully absorbed. This offers a host of benefits such as the skin cell regeneration, making the skin glow and clear! It decreases bloating, speeds up the metabolism, can alleviate digestive issues, skin issues and help enhance the mood. Every bride can be a bit stressed out and the C9 can help focus the mind, I never felt so focused and had so much clarity. Energy levels soar too and you sleep like a baby! What is included in the programme? You get the full supply of Aloe Drink needed for the 9 days, Garcinia Plus capsules, Garcinia is a tree native to South East Asia and today the fruit is used for weight management. This is is a natural appetite suppressant. You also get Forever therm gels, these are a natural energy boosting supplement. In the pack there is your protein shake powder (chocolate or vanilla flavour) – this provides your RDA of vitamins, minerals and protein, a full day to day guide, check list, exercise suggestions, recipe ideas, shake recipes, free food list and a tape measure. How close to the wedding should you start and how long do you follow it for? It all depends on what the bride’s goals are when it comes to how close she does the C9. If she is looking to lose a lot of weight then I’d suggest she starts at least 6 months before the wedding, that way she can kickstart with C9 and build on that with the follow on programmes FIT 1 and FIT 2. These are 30 day programmes with all supplements, shakes, aloe drinks and guides. If she is just looking to shed those extra few pounds, look and feel amazing and needs a boost of energy, then 1 month before the wedding or if she’s cutting it fine, 2 weeks before the wedding. I would say 2 months before because she can really get in to her routine and slowly re-introduce things in to her diet such as coffee, alcohol, things like that. Also, she should continue drinking the gel to keep her skin glowing! How will it benefit brides on the lead up to their Big Day? The benefits are; healthy gut, energy boost, glowing skin, great sleep, metabolism boost, and optimum focus! She will look and feel fantastic! It’s also not a huge commitment, you can see the end even at the beginning so it is highly achievable! I will be on hand for personal guidance and motivation, plus there are Facebook groups I can add the brides to that offer testimonials, real results and support from other C9 customers. What type of results can you expect? Results vary from person to person as this is a natural cleanse, not a forced weight loss plan. My own results weren’t any way near as dramatic as some ladies, I put this down to already having a healthy lifestyle but the energy boost I got was fantastic! The sluggish feeling I had and bloating was gone and I felt so focused and alert. My skin was glowing, my eyes were crystal clear! Results vary but EVERYONE that has done the C9 all say the same thing; You feel amazing and your skin glows! What is the Empower Programme? The Empower Programme is all about getting the right workout plan to suit you and your lifestyle. Our programme is tailored to your goals to help you achieve the results you want with 5 one-to-one sessions over 4 weeks combined with our émpower dvd and pack. You will be shown how to complete a personal exercise plan designed for you, plus consultations with the fitness experts to help keep you on track. Attend all the émpower consultations within 45 days, workout a minimum of 3 times a week, follow the nutritional advice given and you will see results. For more information about the empower programme, visit our page here. How close to the wedding should you start and how long do you follow it for? I would say you want to give yourself at least 6 months. The initial programme is for 4-6 weeks, then you get reassessed every 6-8 weeks. This is to keep your body challenged, change the exercises you were doing as well as ensuring your technique is correct. Are you given an eating plan/exercise regime to follow? We advise how to improve healthy eating choices. We will ask you to fill in some normal eating days and use this information to guide you to make better choices, substitute lower calorie options and stay fuller for longer. How will it benefit brides on the lead up to their Big Day? Results achieved would be weight loss, definition, toning and overall better shape. And exercise in general is a great way to feel good about yourself! What type of results can you expect? Weight and cm loss.